BEARD CONDITIONER OIL: Made with premium blends of oil with no scent. Not only assures your beard and skin absorb natures natural in-gredients, but also leaves your beard softer and shinier with a healthy sheen. BEARD BRISTLE BRUSH: Made from durable pear wood with an oval shape, it fits comfortably in your hand. No beard stands a chance at being unkempt with this brush in hand. BEARD CONDITIONER OIL: Made with premium blends of oil with out a scent. Not only assures your beard and skin absorb natures natural in-gredients, but also leaves your beard softer and shinier with a healthy sheen. BEARD BRISTLE BRUSH: Made from durable pear wood with an oval shape, it fits comfortably in your hand. No beard stands a possibility at being unkempt with this brush in hand. BEARD COMB & TRIMMING SCISSORS: The comb is made of top quality sandal wood. Thick and thin teeth for different hair types provide anti-static, snag free styling. The scissors are stainless steel and very sharp. Face up to rust and tarnish, very easy to care for. 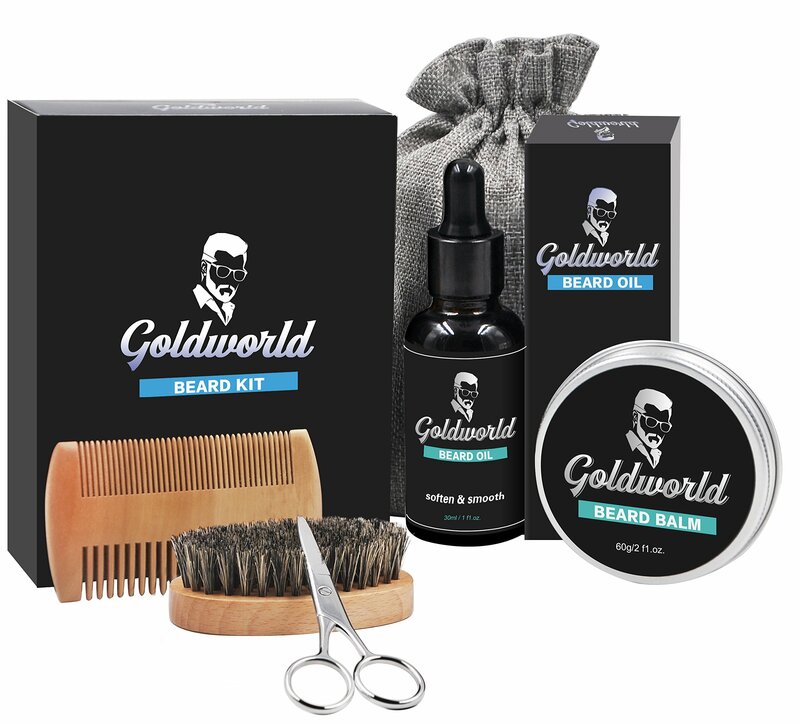 IDEAL GIFT: The beard grooming kit comes well packaged in a premium gift box. It’s the easiest gift for a man who loves his beard.